No one likes worrying about the overhead costs associated with nonprofit work, and rightly so! For years, overhead ratio has been of the only metrics that donors could use to compare philanthropic choices. More recently, conversations like The Overhead Myth have pointed out that the world’s best businesses need operating capital to innovate and succeed, so why should nonprofits be any different? Even though better measures of impact and effectiveness are increasingly available and accepted, a typical donor’s natural reaction when they see a percentage come up in a conversation about nonprofit fees is to interpret it as an overhead ratio. And most donors still don’t like overhead. For us at GlobalGiving, this presents a challenge. While we retain a 15% fee on donations through our website, our actual administrative overhead ratio is around 2%. Despite testing several different ways of demonstrating and explaining the difference between our fee and and our overhead, we still get lots of questions about our fees from users who assume that the two are the same. To help fix this, we recently asked ourselves: what if it’s not the explanation text that’s the problem, but how users are experiencing and processing the information it contains? For inspiration, we turned to the world of cognitive psychology. In his famous Thinking Fast and Slow, Nobel laureate Daniel Kahneman describes how we all have two systems at work in our brains. System 1 is our intuitive, quick-reacting, subconscious mind, while System 2 is analytical, logical, and methodical. He mentions a 2007 study that tried to use the interaction between these two systems to improve scores on the “cognitive reflection test”. This short quiz consists of questions that seem simple at first, but have a “wrinkle” that makes them more complex than they appear (try them yourself). Half the participants in the study took the test normally, while the other half took the test under a cognitive load, meaning the questions they received were written in a lighter font that made them slightly harder to read. The researchers found that the second group performed much better on the test, presumably because the cognitive load caused their analytical System 2 processes to take over from their more reactionary System 1 minds. Once in this “more logical” frame of mind, they were much better equipped to tackle the tricky problems. After reading about this study, I wondered if we could replicate the results on GlobalGiving to help donors process the explanation of our fee and the accompanying invitation to ‘add-on’ to their donation to cover this fee on behalf of their chosen nonprofit. Our hypothesis was that donors usually use System 1 when thinking about our add-on ask; they quickly assume that the 15% represents overhead and they’re less inclined to donate additional funds to cover it. But, if they engage their System 2 mindset that makes them process the text more analytically, hopefully they’ll find the explanation more convincing and be more likely to add-on. To find out if this would work, we planned a simple test in which a subset of users would be randomly chosen to see a slightly modified version of the add-on page during their checkout process. This page would have exactly the same text, just shown in a slightly lighter font that, we’d hope, would trigger the cognitive load and drive extra add-on contributions. Users in the control group saw this unmodified add-on prompt. The test group received the second add-on prompt with a decreased font contrast to create cognitive load. The plan made sense in theory, but we had to be careful as we put it into practice. First, we needed to make sure that the random assignment process, made possible by our Optimizely A/B testing framework, was running correctly and that all the data we would need to analyze the results was logged properly in our database. Even more importantly, we have an obligation to our nonprofit partners to make sure we’re doing everything possible to maximize the funds they can raise by offering a seamless website experience for donors. If this experiment caused users in the treatment group to become less likely to complete their donation, we’d need to know right away so we could stop the test. We set up a pilot study where we closely monitored whether the cognitive load caused by the change in font color would cause potential donors to leave the checkout process prematurely. We also kept a close eye on post-donation survey feedback to see if anyone mentioned the changed font color. Fortunately, there was no difference in donation rates or feedback during this initial test, and we felt comfortable continuing with the larger experiment, which ran two weeks at the end of July (just before the launch of our new website). In the end, we collected results from about 700 eligible users. So what did we find? 49.4% of our control group chose to contribute towards the fee, compared to 56.8% of users who saw the lighter font. This sounds like there’s reason to believe users were engaging their System 2 brains and processing the request for an additional donation. But, it would be premature to declare success without additional analysis. Specifically, we wanted to make sure there wasn’t another explanation for the difference in add-on rates. For example, it’s possible that users who were new to GlobalGiving would be less familiar with our fee and therefore less likely to want to add-on to their donation to offset it. Similarly, donors contributing during a matching campaign might be especially inclined to make sure that the most money possible went to their favorite organization and, as a result, would add-on more often. So, in our analysis, we statistically controlled for these factors, along with the size and geographic origin of each donation, to get our most pure estimate of the effect of the cognitive load. The final result was a 7.8 percentage point increase in add-on rates with a P-value of 0.046. This means that we have only a 4.6% chance of seeing results at least as large as these purely by chance. If we take this increase and estimate what might happen if we made the change on the whole site, we expect we’d see around another $27,000 in additional funding created for our project partners over the course of a year. That may not sound like much in the context of the $35M+ that will be donated through the site in 2015, but it’s not a bad return for our partners for just changing a font color! These are exciting results that suggest the possibility of a new way of thinking about how we present our fee, and there’s still plenty of work to be done. Longer runtimes and larger sample sizes would give us even more confidence in our results and let us explore other potentially important factors, like seasonal effects. Thinking about how we might integrate these results into our new website also presents opportunities for follow-up experimentation as we continue to Listen, Act, Learn, and Repeat on behalf of our nonprofit partners around the world. Special thanks to my classmates Vincent Chio and Wei Shi in the UC Berkeley Masters of Information and Data Science program for their help with this analysis and to Kevin Conroy for his support throughout the project. Recently we worked with DataKind to analyze project data from our website to learn what our nonprofit partners can do to maximize their potential for donations. If you’ve ever visited more than a few pages on GlobalGiving, you’ll know that our project pages are the main hub of all fundraising activity on the web platform. Project pages are the pages where organizations describe their needs and give their best pitch to attract potential donors. We recently worked with a team of DataKind volunteers to analyze our data, helping us identify what impacts a nonprofit’s fundraising success. How can organizations maximize their donations on GlobalGiving? 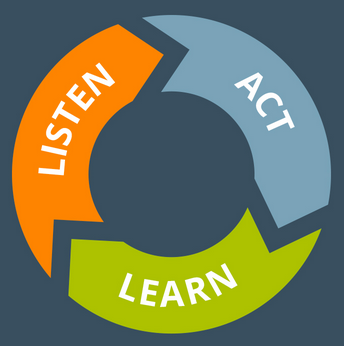 We already use data to drive our work (after all, our chief core value is Listen, Act, Learn. Repeat. ), but we wanted to go deeper using data science (and some excellent data scientists) to uncover what leads to nonprofits successfully reaching their fundraising goals. We hope to use this information as we refine our search algorithm to help donors find projects they’re most interested in and also help nonprofits maximize their ability to attract donors. Data science uses statistical and computational analysis to turn unwieldy amounts of data into actionable information to guide organizational decision making. Think of the many online services you use like LinkedIn, Netflix, or Amazon. These companies already use data generated by users on their sites to better serve their customers – making recommendations to help you use their services more effectively. We’re doing the same thing, using the same data science techniques that companies use to boost profits to advance our mission. We first participated in a DataKind weekend DataDive, supported by Teradata, last October to do initial analysis of our project data to determine what factors led to projects being successfully funded. The team then handed off its findings to another team of DataKind volunteers – Jon Roberts, Ana Areias, Tim Rich, and Nate MacNamara – for a multi-month project to uncover insights about donor behavior that would help optimize our search ranking algorithm. So what do nonprofits that fundraise successfully on GlobalGiving have in common? Many things: they get high traffic on their project page, they have a strong social media presence and a broad base of followers outside GlobalGiving. We wanted to hone in on the component it we could influence the most – the project page. Improving the project page itself with even minor tweaks, or providing nonprofits with tips backed by data can have a huge impact on fundraising success over time. The DataKind volunteer team worked closely with our tech team to analyze which aspects of the project page led to higher conversion rates for donors. Looking at data from more than 4,000 project pages that had at least 100 visitors each, the volunteers looked for patterns and useful insights that could help us guide partners on best practices for maximizing donations. There is a 14% higher conversion rate for projects that included a call-to-action in the project summary. Surprisingly, however, putting a call-to-action in the project title did not appear to make an impact on a project’s conversion rate. Titles may be important for getting traffic to a project, but it appears the project summary is king when it comes to inspiring people to give on GlobalGiving. Going against the traditional wisdom that short and sweet is always best, the team actually found that a project’s conversion rate increased with project summary length. To a point. But there is a sweet spot of 30-35 words, as summaries longer than 35 words encountered diminishing returns. There seems to be a sweet spot of $25,000-$50,000 being correlated with increased conversion rates. This implies organizations should set their project goal in this range where possible and, if more funds are needed, launch a second project in the same range instead of simply increasing the original project’s requested amount. Now, as any good stats student knows, correlation is not causation. All of these findings were based on inferential analysis of GlobalGiving’s existing data, which means we don’t know if these factors actually caused increased conversion rates. Nevertheless, the findings offer powerful information for our team to experiment with as we make recommendations for our partners going forward. 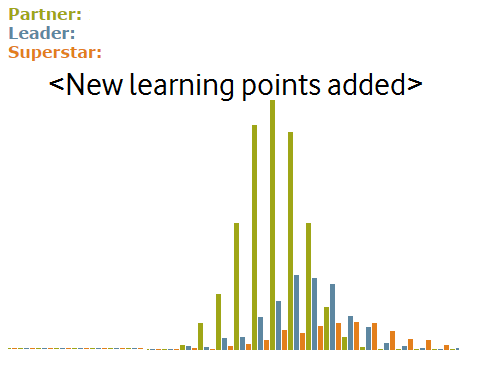 This project might also get you thinking about what hidden learnings are in your data. Data is everywhere. Your organization may have a web platform ours where you’re constantly generating data, or may have other sources like program intake forms, surveys or social media analytics. And don’t forget the wide range of publicly-available data provided by government agencies and others that can shed light into how your organization can maximize its impact. If you’re interested in learning how your organization can tap the power of data science to improve your efforts, check out NTEN’s Data Community of Practice, Data Analysts for Social Good or reach out to the DataKind team at contact@datakind.org for advice on how to get started. If you think a data science project might help you scale your work, apply on the DataKind website for support! All data science journeys begin with a question. What question will help your organization move the needle on the issue you care most about? DataKind love to help you answer it.